Our Vin Santo unmistakably has the flavor profiles from historic Tuscany. Its amber color, the aroma, density, structure and sweetness of this Vin Santo creates a bouquet that is very intense, complex while simultaneously being delicate on the palate. The best analogy for this mouth-watering delicacy is deliciously vibrant died apricots squeezed into a bottle of pure delight. One sip will leave you salivating for more. 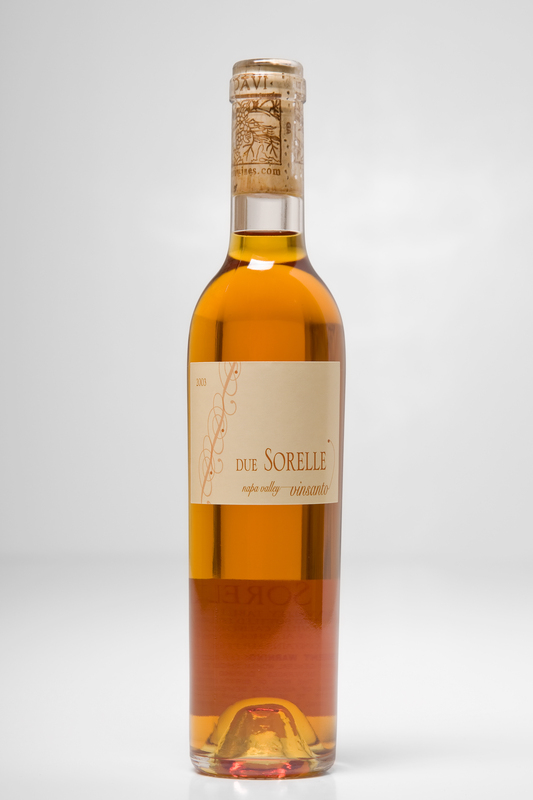 This is a fun dessert wine loaded with bright and rich aromas o dried fruits (apricot, plum and peaches), almonds and caramel. Its flavor profile is surprisingly bright and full of delicious flavors. It pairs well with fruit desserts, cream based desserts, like creme caramel and even chocolate mousse or chocolate cake. Of course, you can't go wrong with the traditional Tuscan dessert soaking biscotti into the Vin Santo.